The airport is in a constant state of motion: aircraft, people, bags; and our construction activity is no exception. As part of our commitment to elevating the guest experience at YYC, there’s a number of changes happening in the Domestic Terminal. While you may notice the changes front of house, there are some really cool changes happening behind the scene as well as we work to add in a baggage system that will seamlessly connect to the new International Terminal’s system. But while we complete this work, we have to move your airline check-in locations. It seems like just yesterday we moved Air Canada’s domestic check-in locations to a temporary spot (near doors 5-7) to accommodate the construction of our baggage handling system. Now we’re getting ready to move them back to their original location — which will feature more self-serve options to get you on your way faster. The check-in area will be located adjacent to Doors 9-11. Central Mountain Air also had a check-in makeover and is located in its new spot at Door 8. We know our guests (especially WestJet’s frequent fliers!) are familiar with the domestic check-in locations for our airlines, but some pretty big changes to WestJet’s space are coming soon. Starting on August 14, WestJet is moving from its current home at doors 1-3 to a temporary check-in area, located near doors 5-7. So whether you’re getting dropped off, parking in one of many lot options or connecting through YYC, make sure you know where to go before you fly. The Calgary Airport Authority unveiled its new strategic direction and guiding vision statement, aptly referred to as the North Star. The Authority’s new direction will focus on elevating guest experiences with the goal of driving economic growth and prosperity for Calgary and Alberta. To embody this new direction, a refreshed visual identity for YYC Calgary International Airport was also unveiled. North Star vision statement: We create effortless and memorable airport experiences that reflect Calgary’s legendary hospitality and our region’s natural beauty. Each and every day thousands of guests fill YYC as they head off to various destinations whether for business or for pleasure. For some, the process is familiar. Bag tags, check. Boarding pass, check. Security screening, check. Have some free time? Enjoy some shopping and/or a pre-flight meal or beverage, check. On the flip side, those who are a bit less familiar may feel the opposite experience rings true. Those are our guests with Autism Spectrum Disorder (ASD), and their families. The unfamiliar processes of airports can incite anxiety and discomfort as travel can be a little intimidating for those sensitive to the ultra-stimulating sounds, sights and people in a bustling facility. Individuals with ASD have a tendency to dislike new or unfamiliar situations, may have abnormal responses to sensory stimulation, or have other communication/language insufficiencies, keeping many families away from air travel. This is why The Calgary Airport Authority, in partnership with Air Canada, ASD-focused agencies and other airport partners have brought the YYC Navigators familiarization program back for the fourth year in a row. Today, more than 85 guests from 26 families joined us for the entire curb to aircraft airport experience. 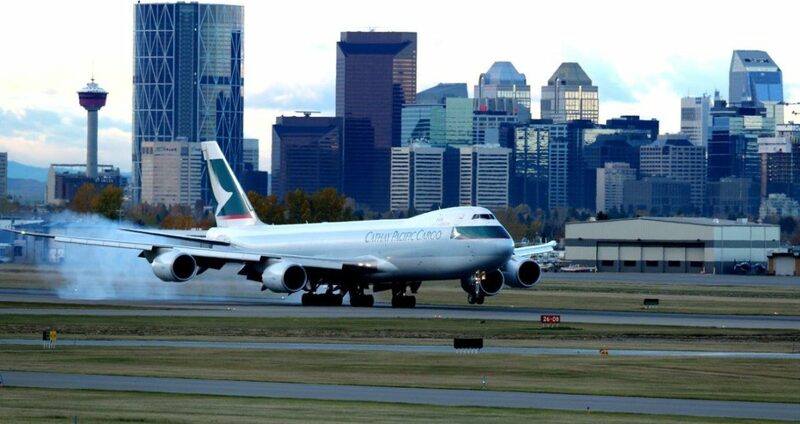 The Calgary Airport Authority publishes annual noise reports. The Reports are intended to outline the noise management activities undertaken at YYC Calgary International Airport, and communicate the results of the noise monitoring programs, modes of airport operations and noise concerns data. On Saturday, October 14, 2017, the Calgary Airport Authority will launch a six-month Runway Usage Trial that will look to improve the balance of aircraft departures of the southerly runways (17L and 17R) over the weekends. We will be working with NAV CANADA to alternate the primary southerly departure runway on the weekends (Saturdays and Sundays) between 6:00 a.m. and 11:00 p.m. to balance operations on non-peak days and hours. As we continue to grow as an urban airport, it is important to maintain airspace capacity in consideration of community feedback. A detailed calendar can be found here, showing the runway use dates for weekends between 6:00 a.m. and 11:00 p.m.
Are there any caveats or limitations to the trial? This initiative and published schedule will not affect the operational requirement to operate in a particular flow, either south or north. The trial will begin on Saturday, October 14, 2017, and it will last six (6) months until Saturday, April 14, 2018. Regular updates will be provided to the community via the Airport Community Consultative Committee. What will be evaluated during the trial? 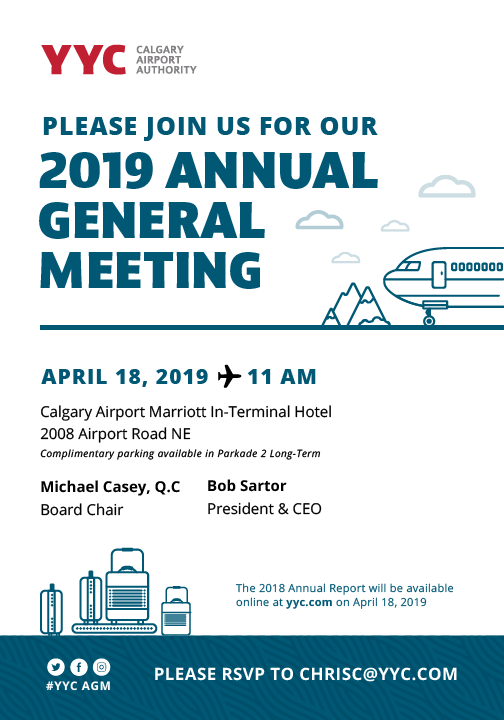 Once the trial is complete, the Calgary Airport Authority, in collaboration with NAV CANADA and other industry stakeholders, will evaluate performance results and community feedback in order to understand the benefits and long term viability of this initiative. Will this mean more flights overhead? The runway use trial will only apply during the weekend between 6:00 a.m. and 11:00 p.m. when weather conditions require south flow operations (17L and 17R), and there are no other operational factors that may require a different runway assignment. While existing flight paths will not change, communities under the 17L departure path may be overflown more on the weekend odd days, while communities under the 17R departure path may have more overflights on the weekend even days. The trial may result in a decrease use of the 10 degree divergence, allowing aircraft to remain on runway heading (over industrial use land) when runway 17L is in use, though residents can continue to expect to see aircraft over areas they do today. Most communities may not notice any significant change. Why is the runway trial only applicable to weekends between 6:00 am and 11:00 pm? Peak periods require additional flexibility to manage capacity requirements, including the use of both parallel runways for departures. This trial represents another step in the evaluation of noise management tools and initiatives aimed at reducing aircraft noise and addressing community concerns. The Calgary Airport Authority, working with NAV CANADA, airlines and other industry stakeholders, will continue to investigate opportunities to reduce community exposure to aircraft noise. You can submit any comments or questions to concerns@yyc.com or through our concern submission form www.yyc.com/aircraftconcerns. We will report back to the community at the end of the trial period including any feedback received.